"Ken Robinson who recently died of cancer was the prime mover of the annual Bike Ride from Sydney to Gold Coast ( Surfers) and after 17 years has raised in excess of $2.8M." This year, Youth off the Street named a special award in Ken's honour as part of their Step up program. At the presentation, Fr Chris Riley said that " Shannice attended Step Up in 2013. She was very unsettled and had a poor attitude to learning. She struggled with expressing herself appropriately and once told a teacher exactly what she thought of them. She left Step Up to have her baby. After many attempts, Shannice returned to Step Up this year with a whole new attitude to life. She now juggles her young daughter and her studies. She catches 3 buses every morning in order to take her daughter to child care and get herself to school. Even when things don’t go to plan Shannice will still attend school even if late. Shannice is super focused at school and is working on her own program which means she does a lot of independent study. 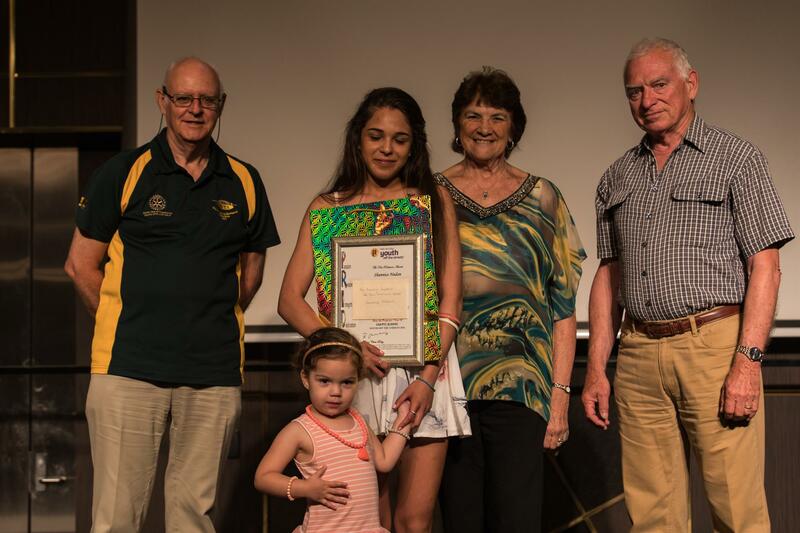 This can be challenging for anyone but Shannice works hard all day and as a result has completed her Certificate II in Skills for Work & Vocational Pathways as well as her year 12 RoSA. Although now very reserved, she will always ask for help and supports her classmates. Shannice has never used her daughter as an excuse to get out of doing anything or special treatment. She is working hard to provide the best future for herself & her daughter. She takes every opportunity available to her and is working towards getting her license so she can transport her daughter around. Shannice spends her time out of school as sole carer for her daughter and completing her school studies. She has never complained about having to do this. Shannice has a goal of getting into Juvenile Justice work once she leaves Step Up. Shannice has taken a while to get to the point of being a mature young adult but has done so successfully and overcoming obstacles in her way. Although too modest to agree, Shannice is a role model & inspiration to others. long time participants in the ride. Well Done YOTS. Every little step has an impact on improving the lot of the "not so fortunate and often forgotten " in our society .